Building owners and specifiers may call upon Accella Roofing Solutions for proven products and assistance. Roofing and SPF Applicators have long relied on these products which protect and restore roofs, walls and other architectural elements. The ARS product line is engineered to improve building performance and sustainability. Whether your focus is on renovation, restoration or new construction, you will benefit from their extensive experience in energy conservation; detailed knowledge of roof coatings, coated SPF systems and spray polyurethane foam insulation; and their dedication to customer service. Founded over 25 years ago by Robert Burlingame, Eagle began operations in the fall of 1989 with one high-pressure concrete tile extrusion machine. Today, Eagle’s Rialto, California facility is the largest in North America. In addition to Rialto, we operate facilities in Phoenix, Arizona, as well as Stockton, California and Sumterville, Florida meeting the demand for concrete roof tile across the sunbelt states and the rest of the U.S. Eagle Roofing Products is a division of Burlingame Industries, a California based privately held, family-owned organization that has been in the concrete tile industry for over 40 years. From these family roots, our business philosophy and vision have blossomed. Furthermore, Eagle has grown to eight design centers and a workforce of over 500 employees that are knowledgeable on not only concrete roof tile but regional trends and needs. The foundation of FiberTite is 60 years of high-performance fabric technology. FiberTite’s 4-Layer technology synthesizes nearly twice as much fiber as competitors, and features a unique adhesive coat and a proprietary DuPont™ Elvaloy® KEE based formula. It combines to make FiberTite a tougher, lighter, more flexible and durable roofing membrane. 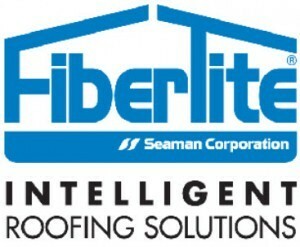 First installed on rooftops in 1979, more than 99% of FiberTite roofs are still performing. 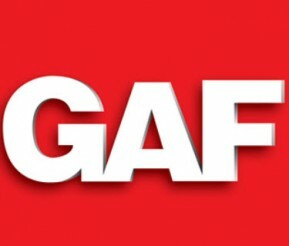 Since 1955, Gaco Western has manufactured exceptional waterproofing and insulating products for commercial, industrial, and residential applications. Today, our products cover millions of square feet of buildings and we have earned a trusted reputation in the construction industry. When you work with Gaco, you can rest assured you’re dealing with a specialist who knows your area, understands your situation, and is at the ready to help you out – in person. 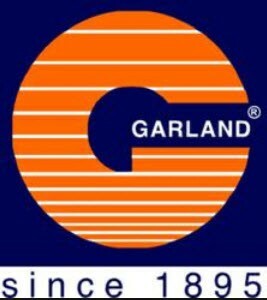 Garland is a living legacy of industry “firsts” in products and services with numerous award-winning innovations, including some of the industry’s most exciting sustainable solutions. We were among the first roofing companies in North America to embrace green technologies, and remain at the forefront of sustainable solutions through a combination of product research and development. The technologies we develop and manufacture, the raw materials we purchase, the processes we use, the delivery methods we offer, and the services we provide are driven by a simple philosophy: listen to what today’s customers need, anticipate what tomorrow’s customers will want. 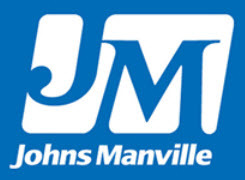 With the industry’s most complete offering, Johns Manville is focused on delivering a true integration of roofing components into robust systems on which you can depend. Our roofing systems are tested and proven to work together to meet the specific requirements of each individual building. Our products are single-source supplied which means single-source responsibility and dependability from a trusted partner. APOC is the commercial roofing division of Gardner Industries and has been successfully working with facility managers, building owners and property managers since the 1960s. 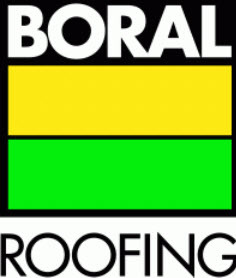 Our extensive research and development, technical expertise and dedication to our customers have afforded APOC with the industry reputation as “The Roof Restoration Experts.” We share this expertise with our customers, allowing them to make an informed and educated decision regarding their individual needs. APOC offers facility managers, building owners and property managers, a customized solution specifically designed to meet their needs. Our high performance restoration systems provide a dependable asset, with extendable warranties and lower life cycle costs. Since 1962, we have been developing and producing high-quality polymeric roofing membranes and system solutions for new building and renovation projects. 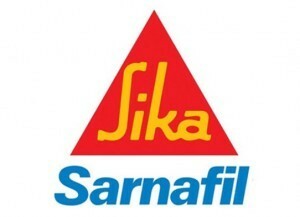 Sika Sarnafil is a thermoplastic (PVC) single-ply, commercial roofing and waterproofing membrane manufacturer. Sika Sarnafil roofing and waterproofing systems, products, and services are designed to precisely fit your specific project’s needs. With more than 40 years of roofing and waterproofing experience in locations all over the world, on buildings of all types and in many diverse climates, Sika Sarnafil is the worldwide market leader in thermoplastic membrane technology. We set the bar for quality when it comes to watertight protection! 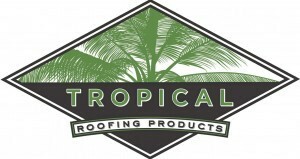 Tropical Roofing Products is a national manufacturer of roofing materials that repair, restore, and maintain roofing systems.Through our over 60 years of experience, we have developed (1) the highest quality roofing materials in the industry by testing all of them in the laboratory and in the field; and (2) the highest quality service by assisting our customers and colleagues with the preparation and the application of our roofing materials. This combination of high-quality roofing materials and high-quality service has made us the preferred roofing manufacturer of the professional roofer as well as a valued industry resource. With more than 15 billion square feet of roofing materials sold, Carlisle continues to lead the industry by providing its valued customers with the best products, services, and warranty options available today. Whatever your roofing needs, Carlisle has a system – and an answer – for you. CertainTeed is a leading North American manufacturer of building materials including roofing, vinyl siding, trim, fence, railing, decking, insulation, gypsum, and ceilings products. Headquartered in Malvern, Pennsylvania, CertainTeed has approximately 6,000 employees and 65 facilities throughout the United States and Canada. Through its Vision, Mission, Values and Objectives (VMVO) initiative, CertainTeed strives to be the preferred choice for innovative building products and systems by delivering a superior Customer experience to a broader market through the development of exceptional team performance and world-class processes. Englert offers an exceptionally broad range of standing seam metal roof and wall panel profiles, panel widths and finishes to meet any design objective. With one of the most technically advanced paint-lines in the world, all of our 26 ULTRA-Cool™ finishes are low-gloss, environmentally friendly, Energy Star® and LEED-compliant, and backed by widely recognized product testing, the best warranties in the industry, and engineering expertise. For over 50 years, Englert Inc. has been bringing standing seam metal roof manufacturing to the job site. On-site fabrication eliminates shipping damage, short shipments and sizing errors, and more. Get the job done right with Englert! SOPREMA was founded in 1908 as Charles Geisen, while seeking to develop a fully waterproof fabric which would also be flexible and easy to install, found the solution by soaking jute fabric in hot bitumen. The result gave a lightweight but strong screed which came to be known as “MAMMOUTH®”SOPREMA offers a comprehensive line of roofing, waterproofing, wall protection and civil engineering solutions combining superior products and systems with decades of proven performance. Our solutions include industry leading SBS-modified bitumen membranes, polymeric PMMA/PMA liquid applied membranes and synthetic single ply PVC membranes. For applications as diverse as roofing, below grade waterproofing, plaza deck and balcony waterproofing, air and vapor barriers and bridge and parking structures, SOPREMA has the solution.